Adult readers have a tendency to turn their noses up at Young Adult fiction. Not me. I remember when the first "Harry Potter" book came out, I was hiding the cover from fellow workmates as I read the book in the lunch room of the office I was working at at the time. I soon became so absorbed in the material that I quite frankly didn't care what people thought of a grown man reading Young Adult fiction. It was a great story! I feel the same way about Gwenda Bond's "Lois Lane" series. "Triple Threat," the third and likely final book in the series, is a lot of fun. It picks up where the first and second books in the series leave off, and by this stage you're not only familiar with the characters, but you're enamored with them. Teenage Lois Lane is the same character you've known and loved for decades... She's just younger, a little less sure of herself, but still tenacious, proactive and getting into trouble at every turn. However, Gwenda has surrounded Lois with a group of friends that help build the world around the young would-be reporter. Her fellow "Scoop" reporters, a division of the Daily Planet newspaper, report to Perry White himself. And Perry is exactly the way you've always pictured him in your head. As are General Sam Lane, Lucy Lane and other familiar characters, including Boss Moxie. The highlight of "Triple Threat" is beyond a doubt the first face-to-face meeting of Lois Lane and Clark Kent. The two have to this point formed an online relationship in a simulated game called "Worlds War Three". Lois finally gets to meet 'SmallvilleGuy' in person, and the two are adorable together. Clark is everything you'd hope a teenage version of the boy from Kansas would be. There are a few surprises along the way, with the introduction of other characters I won't spoil in this review. Needless to say, you'll enjoy discovering their identity as the book progresses. For the first time, Lois Lane has almost everything she wants. Non-temporary home? Check. Dream job? Double check. Incredible BFFs? The absolute best. And now, her online crush, SmallvilleGuy, is coming to Metropolis. If all goes well, they ll turn their long-distance friendship into a some-kind-of-fairy-tale romance. But when does all ever go well? Before she can check boyfriend off her list, Lois must take down a mad scientist plus a trio of mutant teens, protect the elusive flying man from the feds (including her dad), and navigate her very first date with SmallvilleGuy. In the follow-up to FALLOUT and DOUBLE DOWN, Gwenda Bond's reimagination of DC Comics s first leading lady takes on her toughest challenge yet: Love. 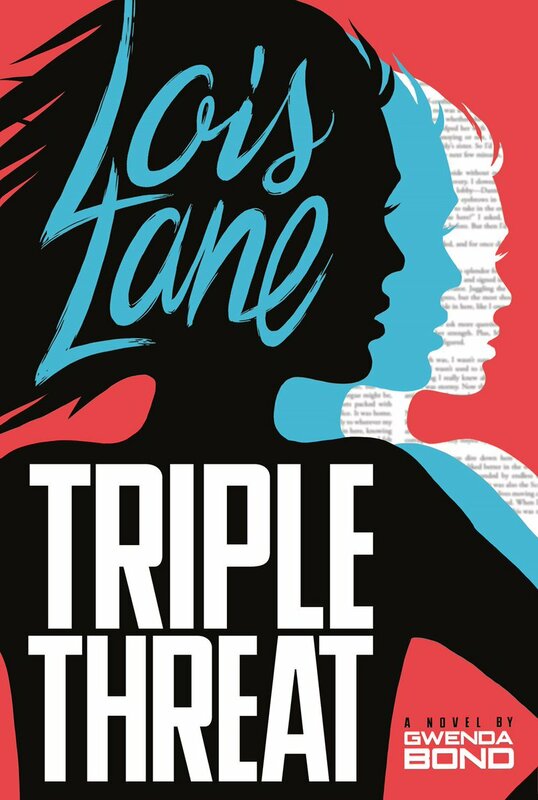 Like the first two books before it, "Triple Threat" is another enjoyable book in the Lois Lane series. While it is categorized as a Young Adult novel, I'd highly recommend it to anyone... especially Superman fans. Gwenda Bond has written another book you can't put down. You want to keep reading to find out how Lois is going to solve the problem of the mutant teens, whether Perry White will fire her, and whether her relationship with Clark will go the way you hope it will. Purchase "Lois Lane: Triple Threat" from the Superman Homepage Online Store. You can also purchase "Lois Lane: Fallout" and "Lois Lane: Double Down" if you haven't done so yet.